This is one in a series of blogs detailing how law firms in Philadelphia and across the 5 suburban counties leverage the #1 rated transportation company, Kevin Smith Transportation Group, to maximize billable hours, deliver superior service to their clients and offer an extensive suite of services to their own employees. Are you looking to book transportation for your employees or your clients? If so, call KSTG today at 610-222-6225 and let one of our “Legal Specialists” arrange all of your transportation needs. Pennsylvania’s #1 rated Luxury Fleet is the perfect partner for any sized law firm. Law firms face significant competition to deliver not just exceptional representation but also a superior experience. Leading law firms have started to leverage a luxury transportation partner who can deliver a variety of services. 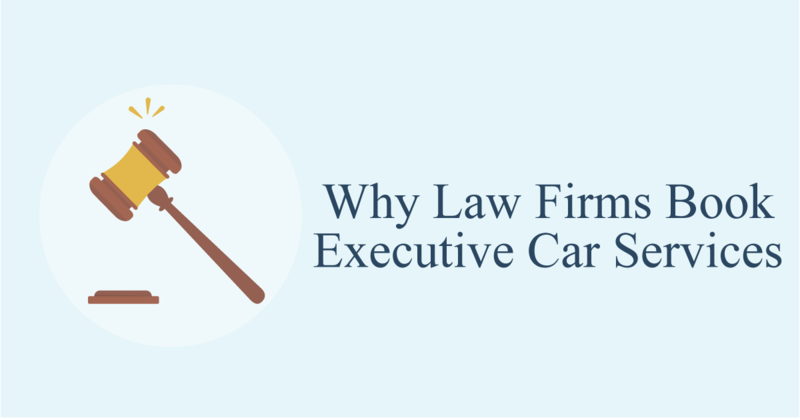 Here are the top 5 reasons why Law Firms Book Executive Car Services. Maximizing billable hours – Many law firms have benefited from Chauffeured services by increasing their Partner’s billable hours. Simply put, turning a $75 an hour car service into a $350 an hour or more billable hour is an easy decision for any firm. Increased revenue – Every law firm recognizes that reduced stress through riding in an Executive Car service improves performance, often resulting in top line revenue growth. Client satisfaction – When the most important client in your law firm has a meeting with you, don’t have them drive themselves. An Executive Car service shows them that their business is important to you and no expense will be spared for them. Brand image – There is something about an Executive Car service that screams legitimacy and professionalism. Stepping out of a Chauffeured vehicle still represents well for any law firm. Reduced stress – Nobody likes to drive in traffic. Leading lar firms put their Partners in an Executive Car service, allowing them to relax while leaving the driving to a professional service. Whether the need is internal for a Partner meeting or transportation for a valued client, it is extremely beneficial to partner with a Luxury Brand that can offer a variety of fleet options to choose from. Here are the most popular choices that law firms in the greater Philadelphia, PA area book with Kevin Smith Transportation Group. KSTG’s fleet of Luxury Sedans and SUV’s are the perfect choices for law firms that need transportation for up to 5 people. They provide the perfect blend of professionalism and comfort that every leading law firm can feel comfortable having their Brand represented in. These vehicles are perfect for law firms that are looking to move larger groups up to 30 people at one time. While still maintaining the Luxury Brand that KSTG is known for, this part of the fleet plays a vital role for law firms who want to provide the “wow factor” for their employees and their clients. While not as popular a vehicle today as they were in the 80’s and 90’s, the fleet of Stretch Limousines that KSTG offers to their law firms are perfect vehicles for special events where the purest form of luxury is stepping inside a stretch. KSTG’s fleet of Coach Buses are the perfect vehicle choice for law firms who need to move larger groups in size, from 50 to as many as 300 or more. Perfect for off-site meetings, a Chauffeured driven Coach Bus still provides the luxury service that law firms have come to expect from KSTG. Check out the below blogs on ground transportation for law firms. Thank you for reading today’s blog on transportation services for law firms. To learn more about Kevin Smith Transportation Group’s services for law firms, visit our blog series on law firm transportation needs or check out our services page for Corporate Transportation. To see all of the vehicle options, visit KSTG’s Fleet Page.